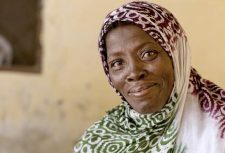 Double court victory: a game changer for slavery in Mauritania? 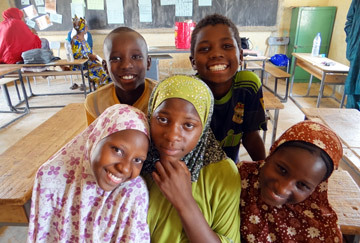 Two slavery-related court victories on May 16 and May 17 were hailed as potential ‘game changers’ for slavery in Mauritania. On May 17 the Supreme Court freed anti-slavery activists Biram Dah Abeid and Brahim Bilal jailed over 20 months ago for a peaceful protest against slavery practices. The Court downgraded the charges, and the activists were able to walk free. The previous day had seen the first ever conviction by the Special Courts for slavery, introduced last year alongside a new anti-slavery law. 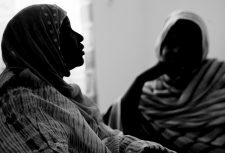 Two slave-owners Sidi Mohamed Ould Hanana, 75, and Hlehana Ould Hmeyada, 31, both received a five year prison sentence, with one year to be served and four years suspended, and ordered to pay significant compensation to two female victims, Fatimetou Mint Hamdi and Fatimetou Mint Zaydih. The case, brought to the court by Anti-Slavery International and its partners SOS-Esclaves, is extremely significant. This conviction is only the second ever in the country, where the perpetrator in the only other case was freed on bail and has never served his sentence. The slave owners convicted yesterday come from a highly influential and powerful family. A full public hearing was held, with the masters held to account before one of their former slaves. 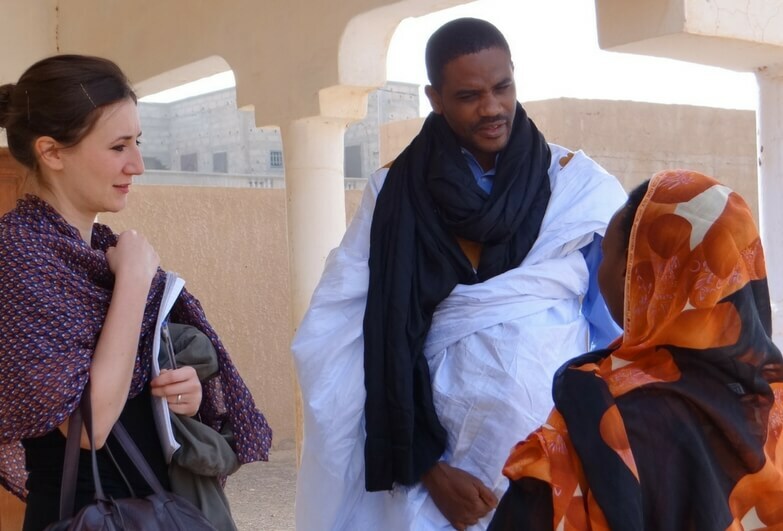 Sarah Mathewson, Africa Programme Manager at Anti-Slavery International said: “This conviction is a really big step forwards for Mauritania. For the first time the authorities are moving beyond empty promises to hold slave-owners to account. Judge Aliou Ba, head of the Nema anti-slavery court, said that these sentences were intended to send a message to all Mauritanians that these cases will be taken seriously, and that cases will be vigorously prosecuted by the new courts. He added that he personally has eight other pending slavery cases on his docket. Carla Clarke, Senior Legal Officer at Minority Rights Group International, who work alongside Anti-Slavery International on slavery in Mauritania, said: “MRG very much welcomes this first prosecution under the 2015 anti-slavery law and looks forward to the many other victims of slavery in Mauritania finally seeing justice. Fatimetou and Fatimata, both aged between 35 and 40, had lived with the Ould Daoud family since birth, as their slaves. 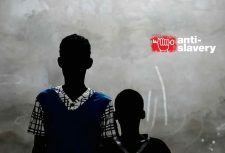 They both escaped with their children last year with help from local SOS-Esclaves activists, a network trained and supported by Anti-Slavery International. The women and their families have been supported by SOS-Esclaves since then. The two defendants had both pleaded not guilty. Fatimetou attended the public trial with SOS-Esclaves and spoke very compellingly about what she had suffered. According to witnesses, ‘once she started talking, she couldn’t stop’. Mauritania is one of the last countries where people are still born into slavery and literally owned by their masters, facing a lifetime of abuse and forced labour. They can be bought and sold, given as gifts and are at complete mercy of their masters. Women are commonly raped and forced to bear their masters’ children, who in turn also become their slaves. Mauritania has long been under domestic and international pressure to enforce the law, but most anti-slavery initiatives so far have proved to be empty promises. However, the new law passed last year includes positive elements, including the possibility of civil society organisations bringing cases to courts in behalf of the victims. This was crucial in this case: although one of the women was put under pressure to negotiate an out of court settlement with her former masters and withdraw her complaint, SOS-Esclaves’ lawyer, supported by Anti-Slavery International, still managed to bring the case to court. Recent appointment of a new Minister of Justice, also from a Haratine background, has been a positive development. Although the convictions themselves are very positive and stand out from the practice of Mauritania’s justice system, Anti-Slavery International and SOS-Esclaves felt that the sentences should be much higher, therefore the lawyers filed an appeal. The appeal took place on Tuesday 12 July, which was very quick comparing to all our other cases. The judgment confirmed the sentence of the Special Tribunal, but increased the compensation awarded to the victims from 1.5 million UM to 6 million UM (over £12,000). Because we still feel the sentences are too low, SOS-Esclaves’ lawyer will again appeal the decision. The next stage will be the Supreme Court in Nouakchott. For more information and to arrange interviews please contact Anti-Slavery International Press and Digital Media Manager Jakub Sobik on 0207 501 8934, mobile 07789 936 383 or at j.sobik@antislavery.org.